Learn how to make Piñata Cupcakes for a fun twist on traditional cupcakes! 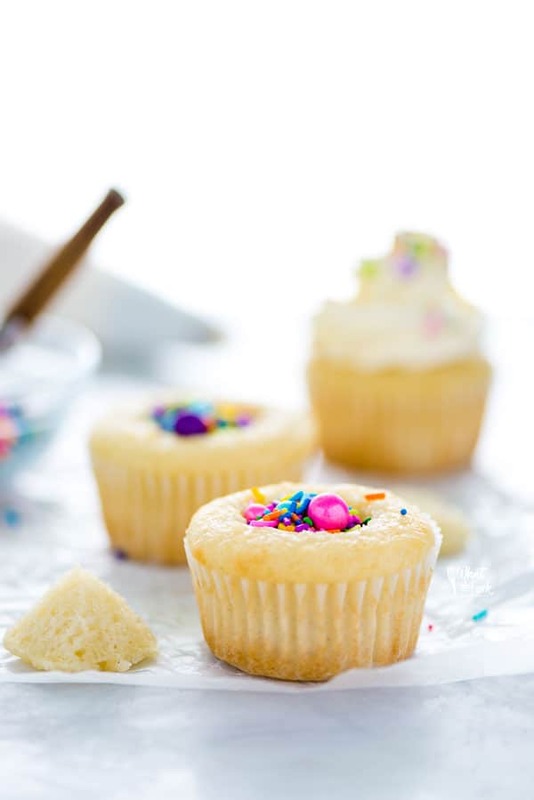 Tender cupcakes, creamy frosting, and a surprise inside – kids love them! Today is all about celebrations and what better way to celebrate than with cupcakes?! These aren’t just any cupcake though, they’ve got a fun surprise inside because they’re Piñata Cupcakes! And to top it off, I made TWO versions – Chocolate Piñata Cupcakes and Vanilla Piñata Cupcakes. Double the fun! So, what are we celebrating, you ask? 10,000 followers on Instagram! In my opinion, sprinkles are an essential part of any celebration. They just scream festive! For the vanilla piñata cupcakes, I used Sweetapolita’s Piñata Sprinkle Medley. 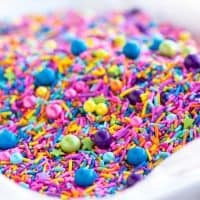 I mean seriously, you can’t find a more appropriate sprinkle mix than that! 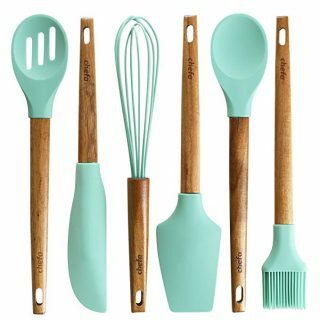 It was 1000% made for piñata cupcakes! For the chocolate piñata cupcakes, I used a combination of mini chocolate chips and Sweetapolita’s Chocolate Crunchy Sprinkles. You could, of course, fill your chocolate cupcakes with any sprinkle mix you want but I thought sticking with all chocolate was a fun way to go. 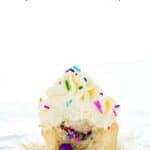 This pinata cupcake recipe is really easy. For the vanilla cupcakes, I made half a batch of my Gluten Free Vanilla Cupcakes and topped them off with my favorite vanilla buttercream frosting. 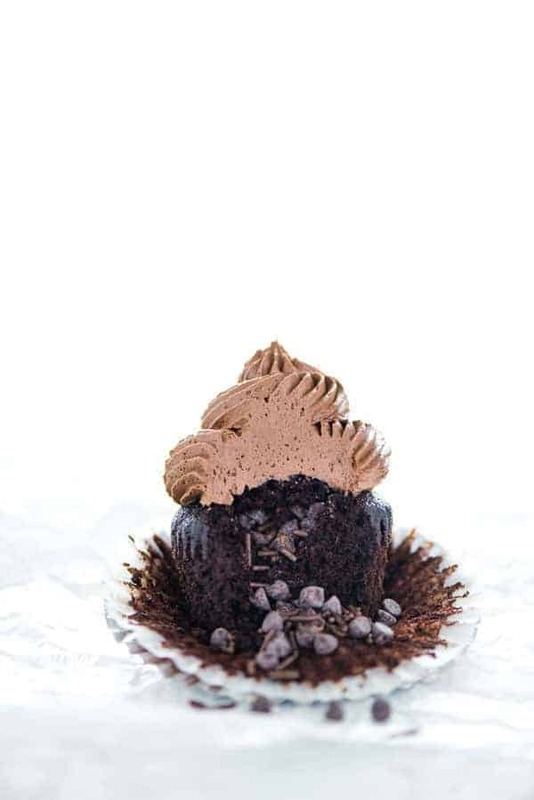 For the chocolate piñata cupcakes, I used my gluten free chocolate cupcake recipe and topped them with my standard homemade chocolate buttercream frosting recipe. As I mentioned earlier, making these cupcakes is much easier than they look or sound. 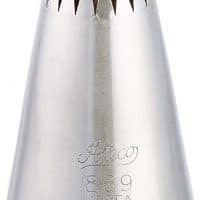 Once your cupcakes are completely cooled and you’ve made your frosting, you take a paring knife and cut a cone-shaped hole into the top of your cupcake then fill the hole with your sprinkles. Next, you’ll cut the pointed tip off of the piece of cupcake your removed. 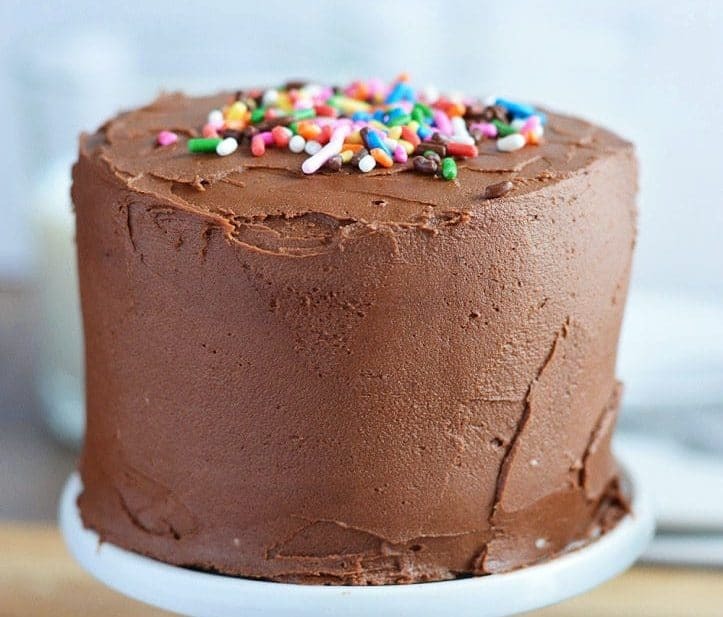 This will leave a nice, flat top to cover your sprinkles. 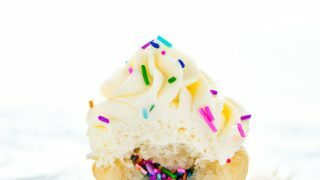 Place the now-flat piece of cupcake back over the sprinkles and then pipe your frosting over to cover completely. 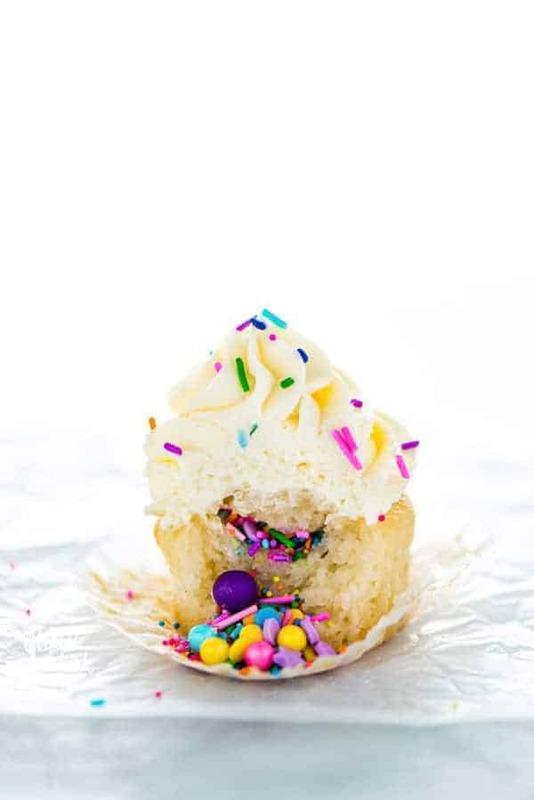 Once you bite into the cupcake, your sprinkles will spill out, creating the Piñata effect. Easy and fun, my friends! What’s a celebration without a giveaway?! I’ve been a long-time ambassador for Rodelle (love, love, love their products!) and they’re helping me celebrate this milestone! I’ve got a sweet assortment of my favorite Rodelle products for one lucky winner. So head on over to my Instagram post to enter! Remember, if you make this recipe – snap a picture and share on Instagram with #whattheforkfoodblog because I LOVE seeing your creations! 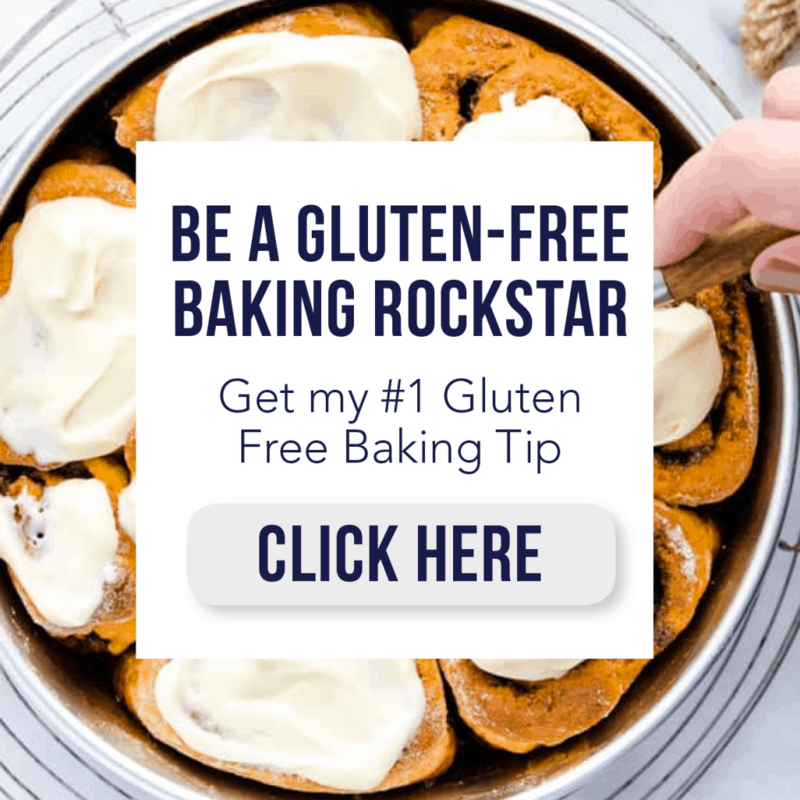 You could also share it in my gluten free baking community group on Facebook! Enjoy! 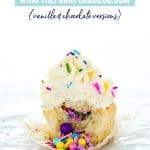 Learn how to make Chocolate Piñata Cupcakes for a fun twist on traditional cupcakes! 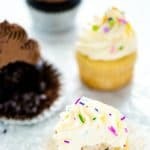 Tender cupcakes, creamy frosting, and a surprise inside - kids love them! 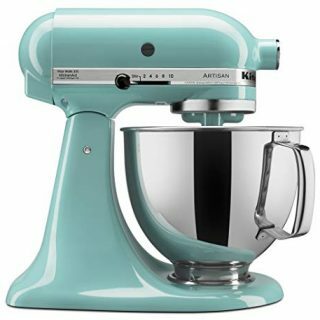 Bake the cupcakes as directed and cool completely. 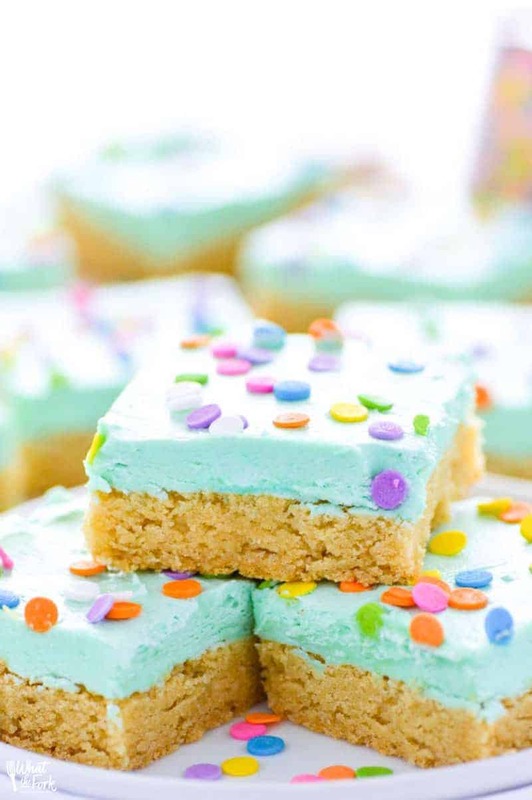 Make the buttercream frosting as directed and transfer to a piping bag. 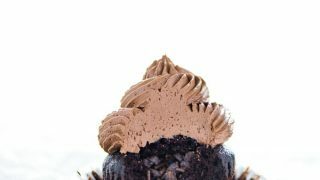 Use a paring knife and place it at an angle into the top of the cupcake. 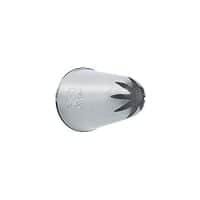 Cutting on an angle, cut a cone-shaped hole into the cupcake. Fill the cupcake hole with 1 teaspoon of the sprinkle mix (a bit more if you cut a large hole). Then cut the tip off of the piece of cupcake that was removed. 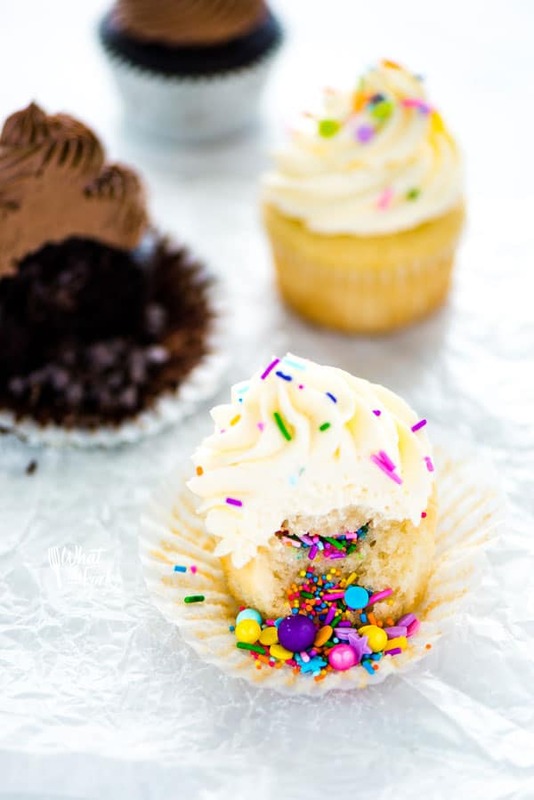 Place the flat piece of cupcake back on top of the sprinkles. Pipe the buttercream onto the cupcake in a swirl, being sure to cover the top completely. Repeat with the remaining cupcakes. Serve cupcakes at room temperature. Frosted piñata cupcakes can be frozen. 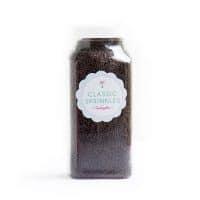 Defrost at room temperature before serving. Mix the chocolate sprinkles and the mini chocolate chips together in a small bowl. Then fill the cupcake hole with 1 teaspoon of the sprinkle mix (a bit more if you cut a large hole). Then cut the tip off of the piece of cupcake that was removed. 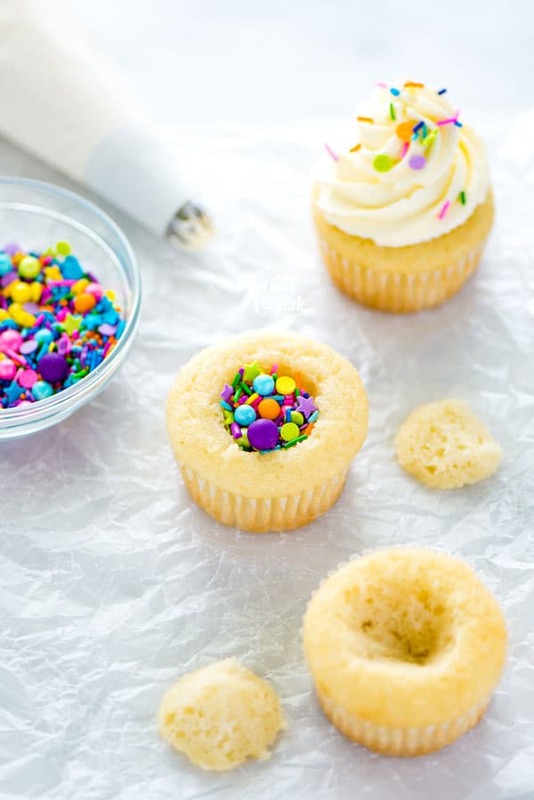 Place the flat piece of cupcake back on top of the sprinkles. 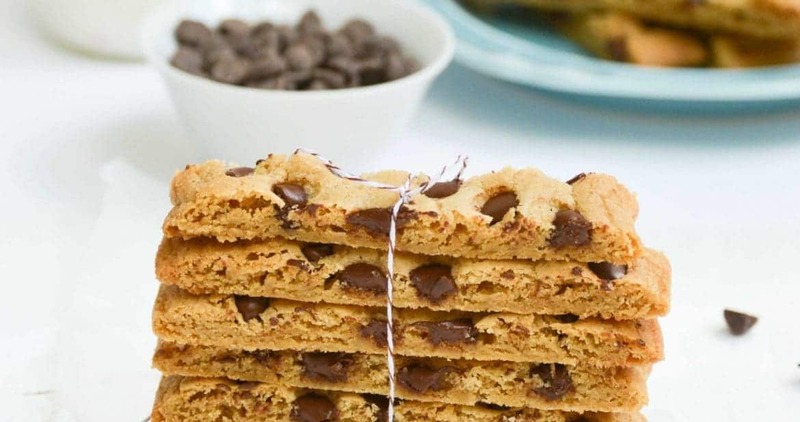 I have tried this recipe and it turned out very delicious. Thank you very much for sharing this wonderful recipe!